The Russian composer Sofia Gubaidulina (1931) is one of the most striking voices in contemporary music. Her work is original, deeply religious and possesses enormous clarity and precision. On 5 and 6 October 2018, she will be visiting The Hague for a retrospective of her work, when the New European Ensemble, the Residentie Orkest and students of the Royal Conservatoire will play a selection from her oeuvre, ranging from early atonal work from the Soviet era to music she has just recently composed. Composer Sofia Gubaidulina, an icon of out time, will be visiting The Hague to attend a weekend-long musical ode to her work. The Dag in de Branding Festival will be opened by the Residentie Orkest and the celebrated violinist Antje Weithaas performing Gubaidulina’s impressive Offertory, the violin concerto that marked the Russian composer’s international breakthrough. We will also be able to enjoy Shostakovich’s best-known symphony, as well as a new work by Patrick Ellis inspired by The Hague’s motto of ‘peace and justice’. This concert is a co-production of the Dag in the Branding Festival and students of the Royal Conservatoire in The Hague. Gubaidulina wrote Musical Toys – 14 short pieces for children – at the age of 38. She was inspired by the question: what would I have liked to play when I was young? Musical Toys is her answer to that question and a genuine treat for the receptive listener. Its structure is eclectic, employing not only a range of styles, but also a variety of piano techniques and sudden, unexpected appearances by other instruments. 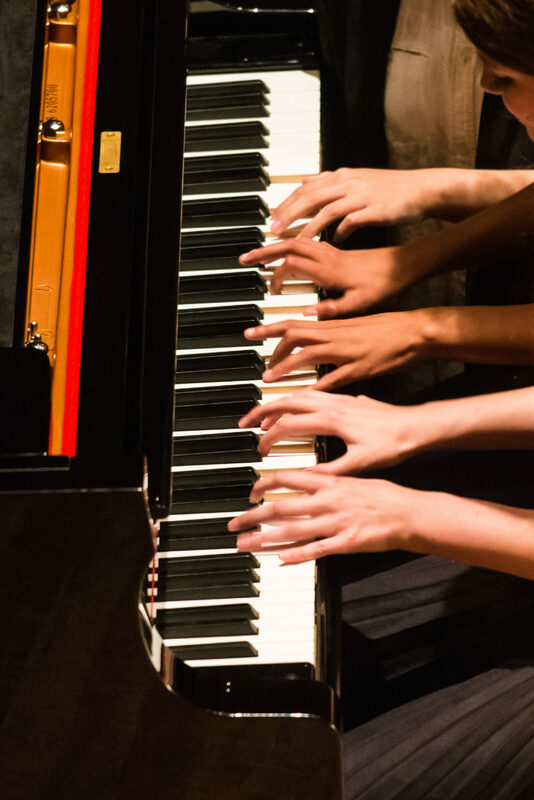 The fourteen pieces will be performed by the pianists in the Royal Conservatoire’s Young KC programme. Children from the educational department of NEST, a platform for contemporary visual art, will make a video of the event which will be shown in the foyer. A total experience created by and for children, but which adults are naturally welcome to attend. With her fascination for sound, Gubaidulina is always on the lookout for unconventional instruments, unusual combinations of instruments and unique playing methods. One of the instruments that regularly features in her music is the bajan, the Russian button accordion. Not without reason, since Gubaidulina is herself a gifted bajan player. The bajan performs the main role in Fachwerk. The title refers to the medieval timber-frame houses, which not only demonstrate enormous craftsmanship, but also possess great charm. A description that applies equally to the Russian bajan and the composition as a whole. Impromptu, a double concerto for flute, violin and string ensemble, is a homage to Schubert – in particular his Impromptu No. 4, Op. 90 for piano – which was written to mark the 200th anniversary of his birth. In the ten years of its existence the Dag in de Branding Festival in The Hague has grown into one of the most prestigious festivals of new music in the Netherlands. Four times a year Dag in de Branding organises a day-long programme of events at various locations around The Hague to showcase the latest developments in classical and improvised music, musical theatre, jazz and pop, opera and electronic music.